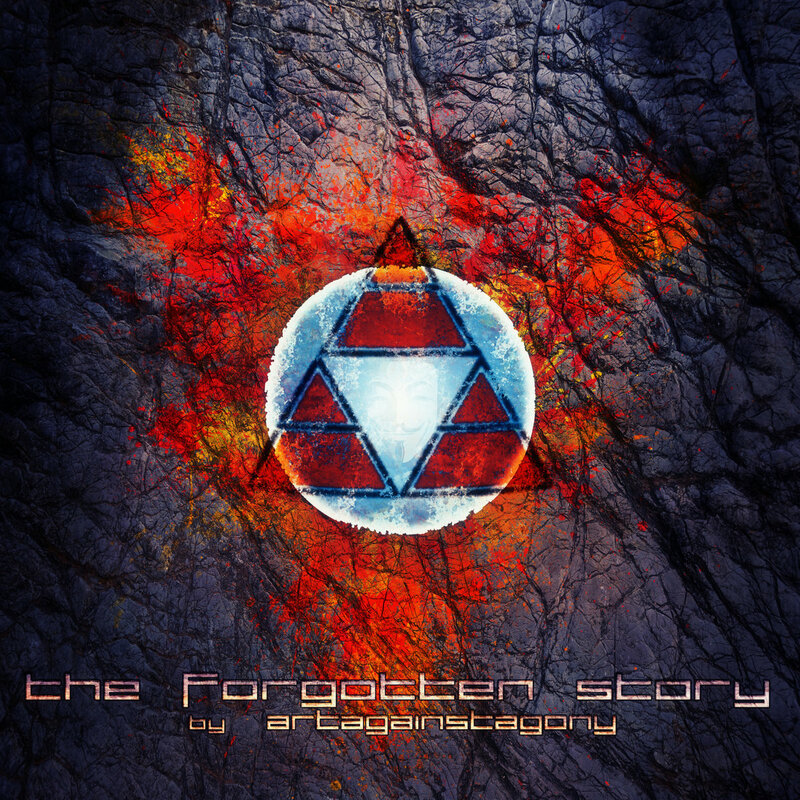 The Forgotten Story is a third release from German experimental act Art Against Agony. After the release of two full-length albums, Three Short Stories in 2014 and The Difference Between a Duck and a Lobster in 2016, this new EP actually brings mutated songs off of the band’s debut that were honed over the years of live performances. And what counts as an important factor here is not the presence of the itemized elements, but the harmony and thread that connects them. I was lucky to be able to follow the response of both media and fans on this record and it’s very good that The Forgotten Story received polarized critics from both camps. But in general, there is a consensus that this EP is one of the greatest records released in 2017 so far. The Forgotten Story summons too many comparisons to comfortably squeeze into a review. In no particular order: Between The Buried And Me, uneXpect, Kayo Dot, Voivod, Weather Report, Gentle Giant, Sleep, Opeth, and Ennio Morricone are all but a few of the artists that came to mind listening to this EP. While the list may not give too specific a description of what Art Against Agony are really like musically, it should at least give an indicator how damned varied the EP can be as a whole. Within the span of a single track, AAA can shift from folk to thrash and power metal, carnival music, and dissonant fusion. While even the most inept avant-metal band can go for this wildly varied approach, it takes a great band like Art Against Agony to do it this smoothly. The astounding variety may be evident while listening, but it doesn’t feel forced at all. Stark shifts in style and tone are abundant throughout The Forgotten Story, but at no cost to the musical momentum. Veteran listeners of avant-metal should recall a time when they thought a band had great ideas, but weren’t able to tie them together properly. Against all odds, Art Against Agony have been able to circumvent this common fault, bringing everything under the sun together and making them work as one. It’s a painfully rare feat in this genre to have good flow, and that accomplishment by itself is enough to get me excited about Art Against Agony. Most of these songs unfold as would a theatrical performance, riding the music’s emotional ebb and flow, rather than relying on recurring motifs or themes to give the material a sense of completeness. This apparent liberation from traditional form is perhaps the most “outside the box” characteristic Art Against Agony have going for them. Approaching their musical ideas individually, their adventurous experimentation isn’t as obvious. The excellent track “Velvet Velour” comes to mind, a chaotic labyrinth of a song that jumps between genres like a bipolar kangaroo. Somehow, the rhapsodic strain of psychedelic rock, jazz fusion and doom metal ideas fuse together into something wholly satisfying and constantly engaging. Throughout the record, this constant challenging of genre boundaries is tied together with a playfulness often sorely lacked by similarly experimental bands. The technical aspect of the record is undeniably at a high level due to the band’s experience, which may be short but considering the amount of “quality-over-quantity” material they produced so far, these folks are a well-founded act. There are no many albums that succeed in mixing seemingly incompatible elements. Art Against Agony’s The Forgotten Story is one of these rarities and therefore it deserves to be hailed as one of the best records released in 2017, but also in last few years. In a word, it is unique, and given the current metal standard of emulation over innovation, that trait alone should warrant checking it out. It will be interesting to hear what comes next. Grab a digital copy of The Forgotten Story from Bandcamp, and if you are into CD’s treat yourself from Bigcartel. Follow the band on Facebook.